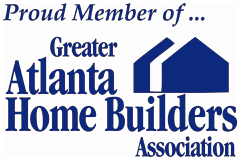 Have you taken a good look at your McDonough, GA home or business flooring lately? Is it looking dull? Is it stained and worn? Do you have scratches, gouges, or damages from wet stains? If so, there's no better time to replace your old, worn out flooring than now! We can create something awesome and beautiful for your home with flooring. Customization is a great option when you're planning on floor replacement. With a little design and help from our McDonough Flooring Company, there's ways to create drama or focus to a specific area of your home. For instance, the flooring at the bottom of a beautiful staircase can be designed with a pattern that really sets the area off. Our experts at 1st Quality Floors are McDonough's favorite choice for quality full service flooring. If you're looking for beautiful and luxurious flooring at a great price, look no further than our professional Flooring Company in McDonough! When you want new flooring, you're looking for floors that wear a long time no matter what materials the flooring is made of. You need a floor for high traffic areas that stands up to all the harsh treatment it will receive over the years while looking great and luxurious throughout time. McDonough Hardwood Flooring gives you just that. They last for decades when properly taken care of, are easy to clean, and can be refinished several times to renew the original shine. You can also change the stain after you've enjoyed your first hardwood floor. Flexible and beautiful, there's nothing like the look of a real hardwood floor! All floors need to be fixed eventually, and refinishing is the best way to restore your flooring. Repairs are made, surfaces sanded down or restored, and the restored floor is re-sealed for years more protection. Whether your floor is of natural stone or wood, our McDonough Floor Refinishing experts know all about the materials and how they need to be handle during refinishing. Let us take a look at your floor and make a recommendation as to whether you should replace, repair, or refinish your floor. Many times you can refinish instead of replace, which is why you need a professional from 1st Quality Floors. We'll always be honest with you and give you all the options available. Are you looking for a high quality floor that's easier and quicker to install, clean, and maintain than real hardwoods or natural stone options but looks just like it? McDonough LVT Flooring is a high quality vinyl flo that gives you a lot of flexibility in design as well as better options in stain resistance than regular vinyl. Over the years technologies improve and manufacturers now make this option in vinyl available for those who are looking for a higher quality designer option that's more durable and beautiful than ever before. 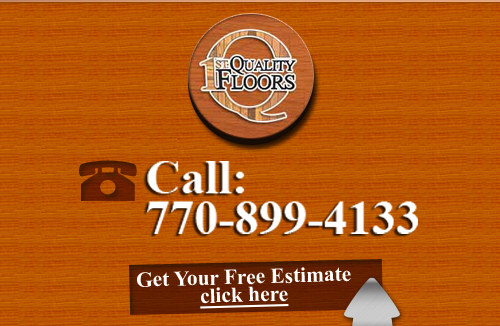 If you are looking for McDonough Flooring Company then please call 678-615-7799 or complete our online request form.